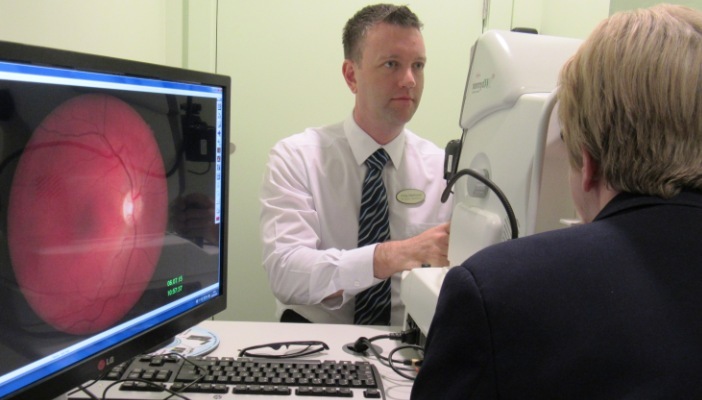 Specsavers and the International Glaucoma Association (IGA) are joining up in a million-pound health information campaign to raise awareness of glaucoma and encourage people to have regular eye examinations. Glaucoma, often described as the ‘silent thief of sight’ due to its gradual onset, causes damage to the optic nerve. It affects 600,000 in the UK and more than 64 million people worldwide making it the leading cause of irreversible blindness globally. The campaign begins by highlighting research findings that men are at greater risk of losing their sight than women because they ignore warning signs and do not seek medical attention. The research, which focused on glaucoma, was carried out by City University and showed that men are 16 per cent more likely than women to suffer advanced vision loss on diagnosis of the condition. Timed to coincide with World Glaucoma Week, which runs from 12 to 18 March, the campaign will include TV and national press advertising, online activity and posters and health information in Specsavers’ 770 stores nationwide. Welcoming the partnership, Karen Osborn, CEO of the IGA, says: 'Glaucoma is found in 2 per cent of the UK’s population aged over 40. Most of those people have a slow developing form of the condition and we estimate that half of all cases – that’s over 300,000 people – remain undiagnosed and are unaware that they are slowly losing their sight. 'Research shows more men than women are expected to be in this group because they simply do not seek medical treatment as readily as women.